A 404 error is an HTTP status code that means that the page you were trying to reach on a website couldn't be found on their server. To be clear, the 404 error indicates that while the server itself is reachable, the specific page showing the error is not. 404 Not Found error messages are frequently customized by individual websites. You can see some of the more creative ones in our list of the Best 404 Error Pages Ever. So, keep in mind that the 404 error might show up in just about any way imaginable depending on what website it's shown from. 404 Not Found error messages can appear in any browser or any operating system. Most 404 Not Found errors display inside the internet browser window just as web pages do. In Internet Explorer, the message The webpage cannot be found usually indicates an HTTP 404 error but a 400 Bad Request error is another possibility. You can check to see which error IE is referring to by checking for either 404 or 400 in the title bar. 404 errors received when opening links via Microsoft Office applications generate a The Internet site reports that the item you requested could not be found (HTTP/1.0 404) message inside the MS Office program. When Windows Update produces a 404 error, it appears as a code 0x80244019 or as the message WU_E_PT_HTTP_STATUS_NOT_FOUND. 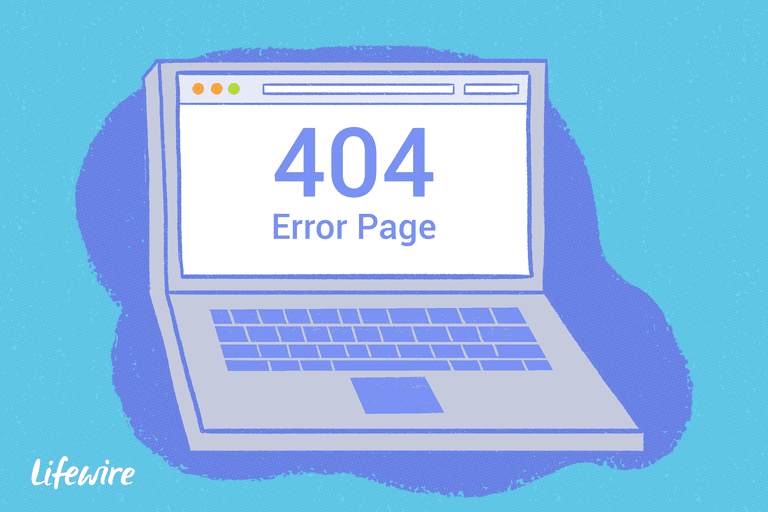 Technically, an Error 404 is a client-side error, implying that the error is your mistake, either because you typed the URL incorrectly or the page has been moved or removed from the website and you should have known. Another possibility is if a website has moved a page or resource but did so without redirecting the old URL to the new one. When that happens, you'll receive a 404 error instead of being automatically routed to the new page. Microsoft IIS web servers sometimes give more specific information about the cause of 404 Not Found errors by suffixing a number after the 404, as in HTTP Error 404.3 - Not Found, which means MIME type restriction. Retry the web page by pressing F5, clicking/tapping the refresh/reload button, or trying the URL from the address bar again. The 404 Not Found error might appear for several reasons even though no real issue exists, so sometimes a simple refresh will often load the page you were looking for. Check for errors in the URL. Often times the 404 Not Found error appears because the URL was typed wrong or the link that was clicked on points to the wrong URL. For example, if www.web.com/a/b/c.htm gave you the 404 Not Found error, move up to www.web.com/a/b/. If you get nothing here (or an error), move up to www.web.com/a/. This should lead you toward what you're looking for or at least confirm that it's no longer available. If you have moved all the way up to the website's homepage, try to run a search for the information you're looking for. If the site doesn't have a search function, try navigating to the page you want using category links to dig deeper into the site. Search for the page from a popular search engine. It's possible that you simply have the entirely wrong URL in which case a quick Google or Bing search should get you where you want to go. If you do find the page you were after, update your bookmark or favorite to avoid the HTTP 404 error in the future. Clear your browser's cache if you have any indication that the 404 Not Found message might just be yours. For example, if you can reach the URL from your phone but not from your tablet, clearing the cache on your tablet's browser might help. You might also consider clearing your browser's cookies or at least the one(s) involved with the website in question if clearing the cache didn't work. Change the DNS servers used by your computer, but usually only if an entire website is giving you a 404 error, especially if the website is available to those on other networks (e.g., your mobile phone network or a friend in another city). 404's on an entire website isn't particularly common unless your ISP or government filters/censors websites. No matter the reason, if it does happen, giving another set of DNS servers a try is a good step to take. See our Public DNS Servers List for some alternatives and instructions on doing this. Contact the website directly. If they've removed the page you're after then the 404 error is completely legitimate and they should be able to tell you that. If they've moved the page and are generating 404's instead of redirecting visitors to the new page, they'll be happy to hear from you so they can go fix it. See our Website Contact Information list for links to these site's support-based social network accounts which you can use to report a 404 error or keep up with the problem's status if it's widespread. A few websites even have telephone numbers and email addresses! If you suspect that everyone is getting a 404 error for this site, but you're not sure, a quick check on Twitter might help clear it up. All you have to do is search Twitter for #websitedown, as in #facebookdown or #youtubedown. Twitter users are usually the first to start talking about a website outage. Finally, if all else fails, wait. No, it's not fun, but it might be your only course of action, especially if you're confident the 404 error shouldn't be happening (i.e., the page really should be at the URL you have and others are having the same problem and find it equally strange). You can find 404 errors on your own website through tools like DeadLinkChecker.com and ATOMSEO. Some other client-side error messages related to the 404 Not Found error include 400 Bad Request, 401 Unauthorized, 403 Forbidden, and 408 Request Timeout. Several server-side HTTP status codes also exist, like the popular 500 Internal Server Error. You can see all of them on our HTTP Status Code Errors list. 7 Common Online Error Codes: What Do They Mean?